Our Royal Lotus Tea is made of delicate parts of the royal lotus, sourced from very rare harvests of indigenous sources in Thailand. 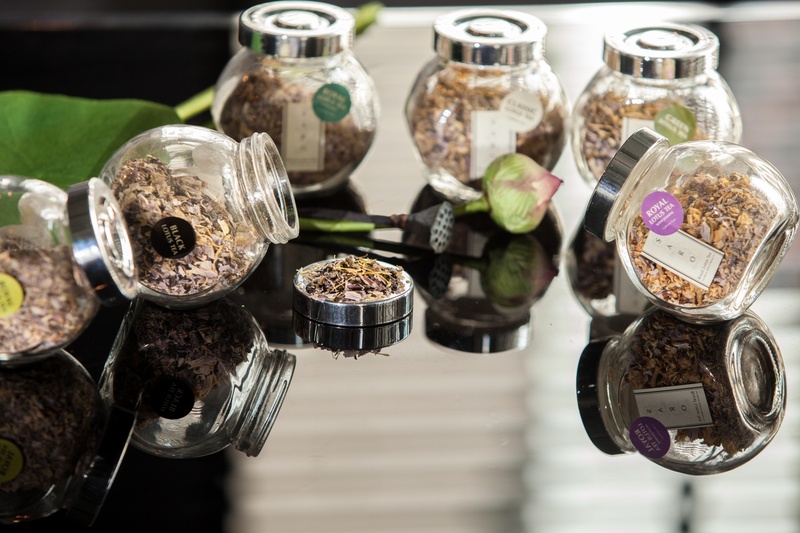 With a wide variety of blending and scents, we provide you with the most unique tastes and Lotus characteristics of freshness, purity, tenderness and calm. A sip of our Royal Lotus Tea helps to make you feel calm and relaxed, and assists in maintaining a stable temperature within your body. It is effective in alleviating restlessness, heart palpitations, digestive illnesses, cholesterol, insomnia and general detoxification and cleansing. For those who love tea for both body and mind relaxation, with an abundance of herbal health benefits, “Royal Lotus Tea selection” is definitely the tea you have been looking for. For tea cup, warm the container with hot water, add one tea bag in the container and pour boiling water. Brew for 4-5 minutes then remove the tea bag. For teapot, put 2 tea bags in the warmed teapot; pour 3 cups of boiling water. Brew for 4-5 minutes then remove the tea bag. Don’t worry about the longer steeping time, after 4-5 minutes the taste is more. Keep tea leaves in airtight container to retain aroma and freshness. Tea leaves have the property of absorbing all kinds of smell; make sure that the tea container is completely clean. Do not store tea leaves near any ingredients with strong smell. Store tea leaves in dry place at room temperature, and protect them from lights.